The panellists will discuss what the market currently discounts and how their views differ from this consensus. 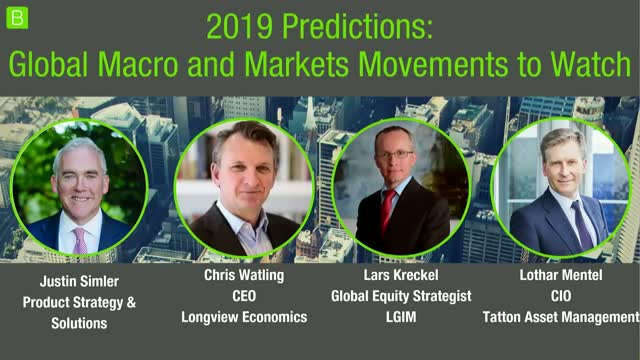 They will give their views on the asset allocation and style, region and sector exposures that are likely to offer the best (and worst) combination of risk and reward in this environment. They will finish by suggesting their own possible surprises for 2019. These are outcomes which the market believes have no better than a one in four chance but which the panellists believe have a probability of 50% or more.